If you’re not British, or spent much time in the United Kingdom, you may never have heard of the Ordnance Survey. 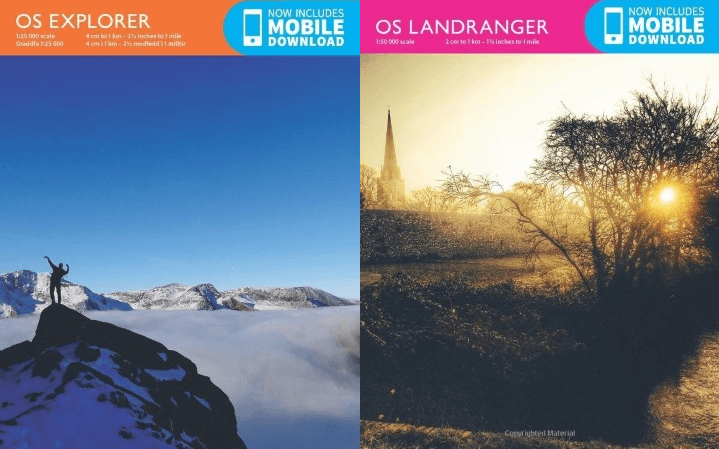 While they have produced a huge variety of map related products over the years, their two flagship products remain the Explorer & Landranger map series that cover the entire island of Great Britain. However, have you ever wondered which maps in each series are the most popular? Below we take a look at the 10 most popular maps from each series, revealing where Britons are most likely to go on holiday or perhaps where they are most worried about getting lost. The Explorer series of maps is the more popular of the two and is said to be ideal for walking, running, mountain biking and horse riding. The maps are 1:25,000 scale which means 4cm on the map equals 1 km on the ground. Details include footpaths and open access areas. 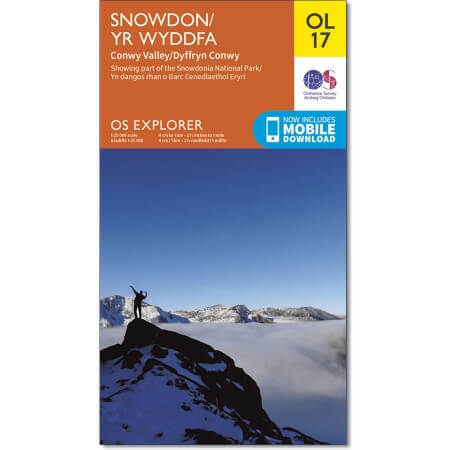 Description: Map sheet number OL17 in the OS Explorer map series is the ideal map for exploring the mountain scenery in Snowdon. This area, famous for its fantastic walking routes, is home to the highest mountain in Wales. Take one of the six well mapped routes to the summit of Mount Snowdon and enjoy the views! Purchase: Buy on OS Website and Buy on Amazon. 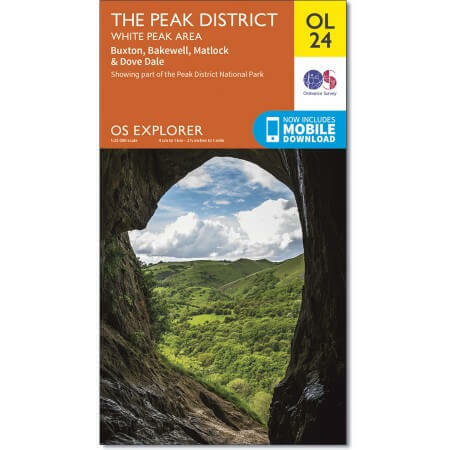 Description: Map sheet number OL 24 in the OS Explorer series covers the Peak District area surrounding Buxton, Bakewell, Matlock and Dove Dale and is the perfect map to use when exploring the White Peak area. The scenery is a treat for outdoors enthusiasts who will be able to see the outcrops of light coloured limestone that give the area its name. Highlights: Castle rock, Middleton Dale, Derbyshire Dales, The Roaches, Buxton, Bakewell, Matlock, Dovedale, Chatsworth House, limestone caves, and the thermal springs at Middleton Stoney. 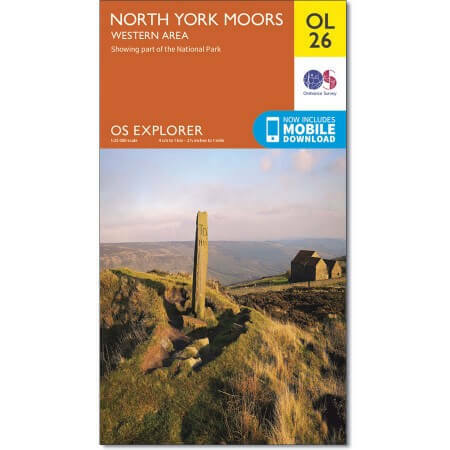 Description: Map sheet number OL26 in the OS Explorer series covers the Cleveland Hills, the western area of the North York Moors and a small section of the Howardian Hills. Highlights: Saltburn-by-the-Sea, Guisborough, Helmsley, and Roseberry Topping. 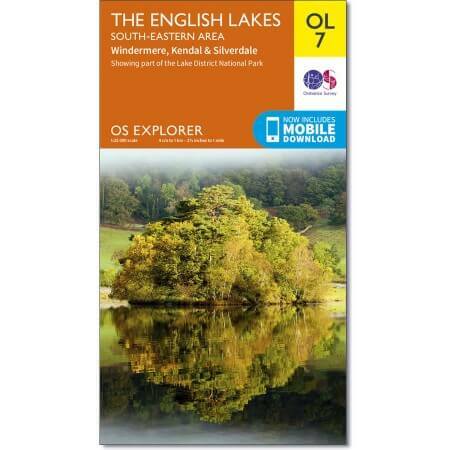 Description: Map sheet number OL7 in the OS Explorer map series, The English Lakes: South-eastern area is the ideal map to use when exploring the south-east area of the Lake District. With the impressive lakeside scenery around Windermere and the dramatic mountains that make up the region, this area is perfect for hiking holidays and days out. Highlights: Windermere, Orrest Head, The Dales walk, Kendal, Shap Fells, and Silverdale. 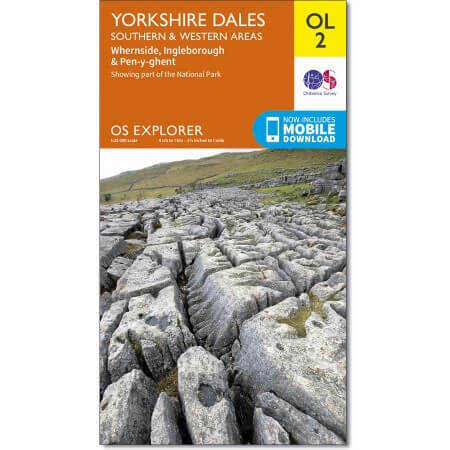 Description: Map sheet number OL2 in the OS Explorer map series is the ideal map to use when exploring the South and West areas of the Yorkshire Dales including Whernside, Ingleborough and Pen-y-ghent. Highlights: The Yorkshire three peaks, The Devils Bridge at Kirkby Lonsdale, Leeds to Liverpool Canal at Skipton, The Pennine Way, Settle, and Old Town. 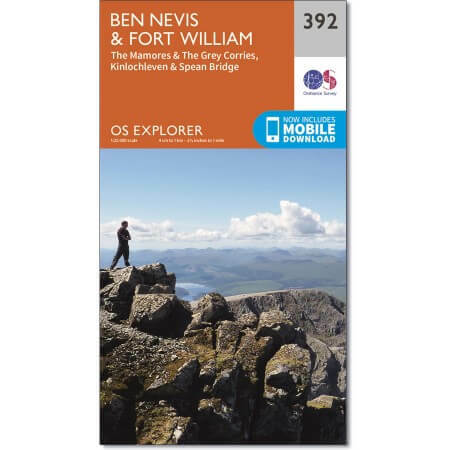 Description: Map sheet number 392 in the OS Explorer map series is the perfect map to use when exploring the mountainous area of Ben Nevis, Fort William, The Mamores and The Grey Corries Kinlochleven and Spean Bridge. The area is frequented by mountain climbers and hikers or those wishing to soak up the scenery. Highlights: Ben Nevis, Glen Nevis, River Nevis, Loch Leven, The Munros, Kinlochleven, Glen Coe, Loch Leven Heritage Trail, The Mamores, The Grey Corries, Spean Brideg, Loch Leven, and Ballachulish. 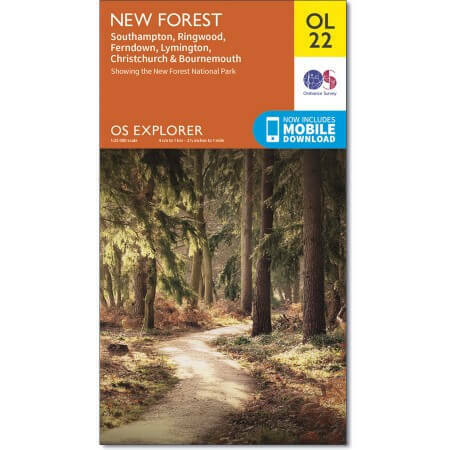 Description: Map sheet number OL22 in the OS Explorer map series is the perfect map for holiday makers and day trippers to use when visiting the New Forest. The national park is famous for its excellent walks and rides and is home to New Forest ponies and heath land scenery. Highlights: New Forest National Park, Lyndhurst, Brockenhurst, Ringwood, Lymington, Beaulieu, Lepe, Bucklers Hard, Boldre, Ashurst, Cadnam, Fritham, Burley, Sway, Christchurch, Fordingbridge, Verwood, New Milton, Milford-on-Sea, and Hengistbury Head. Purchase: Buy on OS Website andBuy on Amazon. 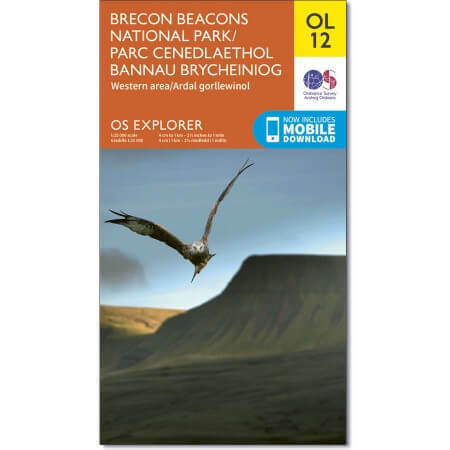 Description: Map sheet number OL12 in the Explorer map series is the ideal map for those seeking outdoor adventure. The landscape of the Brecon Beacons attracts walkers, cyclists and riders to its rolling hills, valleys, caves and waterfalls. Highlights: The Beacons Reservoir, Brecon, Fan Faw, The Black Mountains, Brecon Canal, Merthyr Tydfil, River Towy, and Trecastle. Description: Planning to do the Three Peaks challenge? Find a pre-planned route for each peak plus essential safety information. Every map contains the mapping for ALL Three Peaks. Select your favourite cover image when you buy yours. Highlights: A safe and approved walking route for each peak, a quick guide to the history of each peak, hazard warnings, map legend exclusively for this map and Parking information. 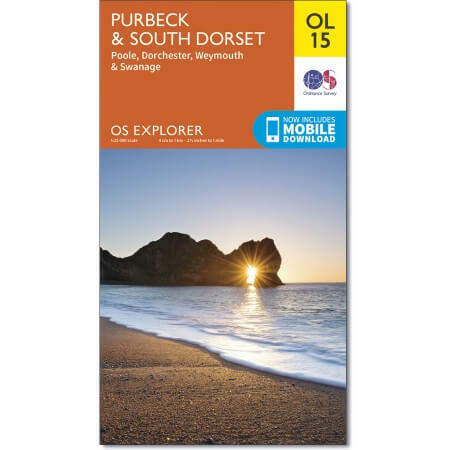 Description: Sheet number OL15 in the OS Explorer map series is the ideal map for exploring the Purbeck coast and South Dorset. The Jurassic coast is a major draw for many outdoors enthusiasts and the beautiful countryside of South Dorset is perfect for walks and rides. Highlights: Kimmeridge, Chesil Beach, Brownsea Island, Dorchester, Weymouth, River Frome, Swanage, and Wareham. The Landranger series of maps cover a larger area but shower fewer details than the Explorer series. They are ideal for long distance cycling, driving and holidays. The maps are 1:50,000 scale which means 2cm on the map equals 1 km on the ground. 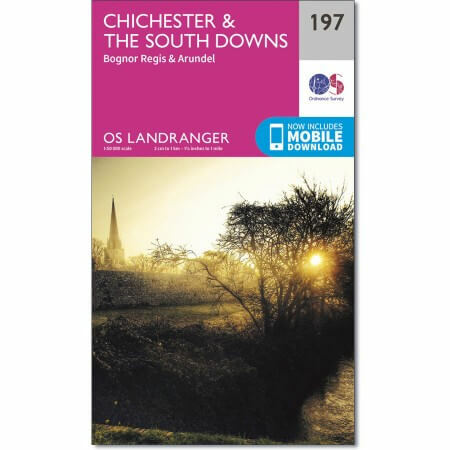 Description: Map sheet number 197 in the OS Landranger series is the ideal map to use when planning a trip to the Chichester and South Downs area. The area has much to offer visitors including stunning sand dunes, historical buildings and rolling hills. Highlights: Chichester Cathedral and the Market Cross, East Head, The South Downs Way and Goodwood. 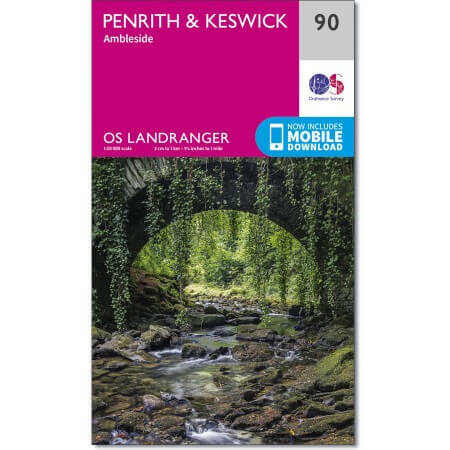 Description: Map sheet number 90 in the OS Landranger map series is the perfect map for planning holidays and day trips to the Penrith and Keswick area of the Lake District. The area is ideal for holiday makers wanting to partake in hikes, rides or water sports as there are fantastic trails, activities and scenery to be found throughout the area. Highlights: Helvellyn, Scafell Pike, Derwent Water and Buttermere. 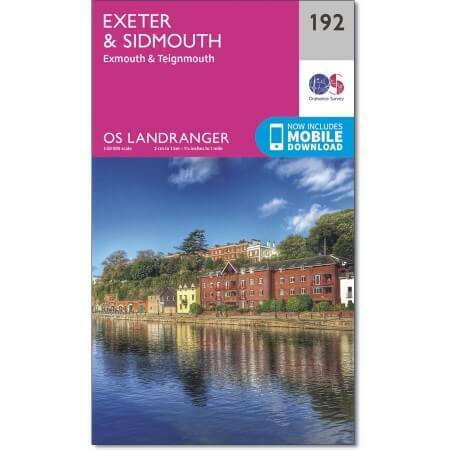 Description: Map sheet number 192 in the OS Landranger map series is the ideal map for planning days out and holidays to Exeter and Sidmouth. Explore the east of Devon including the city of Exeter and towns of Honiton and seaside towns such as Exmouth, Sidmouth, Teignmouth, Seaton and Budleigh Salterton. 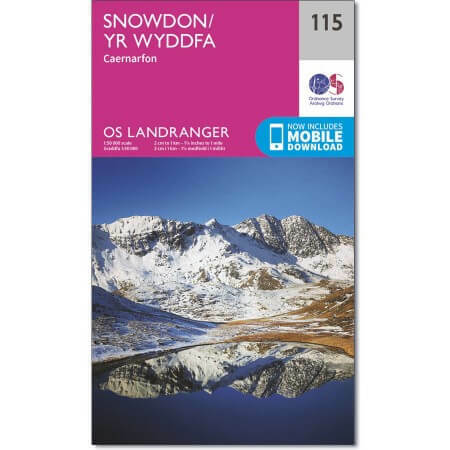 Description: Map sheet number 115 in the OS Landranger map series is the ideal map for planning your walking trips and holidays in the Snowdon area. Well known for its stunning scenery, challenging walks and climbs, Snowdon is the perfect spot for all outdoors enthusiasts. Highlights: Snowdon, Bangor, Caernarfon, and Anglesey. 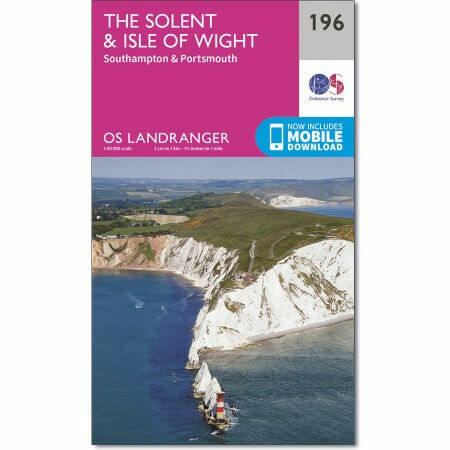 Description: Map sheet number 196 in the OS Landranger map series is the ideal map to use when planning a day trip or holiday in the Solent and Isle of Wight area. The area is famous for sailing, coastal walks and the New Forest national park. Highlights: Lyndhurst, Southampton, Calshot Beach and Ventnor. Description: Map sheet number 162 in the OS Landranger series covers the Forest of Dean, Gloucester, Monmouth (Trefynwy), Nailsworth, Dursley, Stroud, Ross-on-Wye, Thornbury and Chepstow (Cas-Gwent). 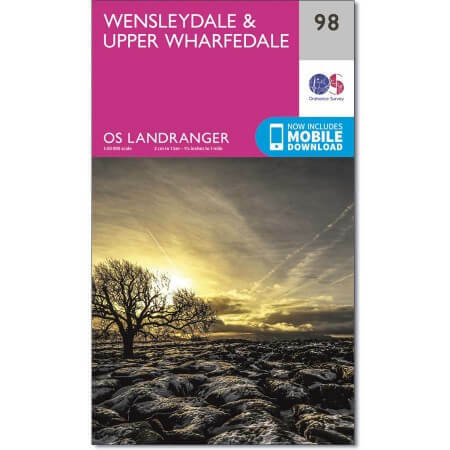 Description: Map sheet number 98 in the OS Landranger map series is the ideal map for planning your day trips and holidays to the Yorkshire Dales including Wensleydale and Upper Wharfedale. Highlights: Striking limestone and gritstone scenery, The Pennine Way, sailing on the Grimworth Reservoir, and the Wensleydale Cheese Factory. 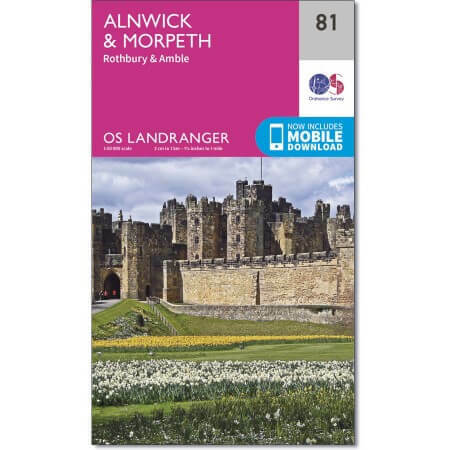 Description: Map sheet number 81 in the OS Landranger map series covers an area of the Northumberland National park as far as Sharperton in the east and the Northumbrian coastline from just south of Blyth to Craster. 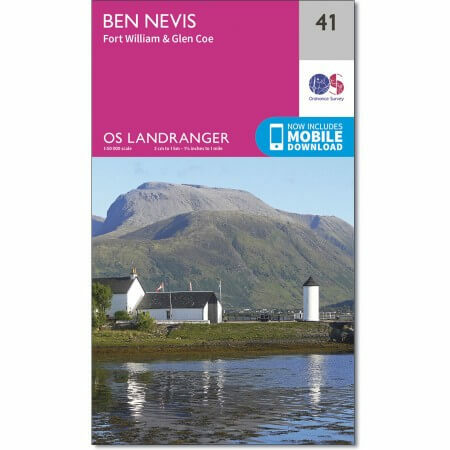 Description: Map sheet number 41 in the OS Landranger map series is the ideal map to use when planning a trip to the Ben Nevis, Fort William and Glen Coe area. The area is famous for its spectacular views and challenging walks. It is a great place to get away from it all. Highlights: Loch Treig, Glen Roy, Ben Nevis, and Spean Bridge. Description: Map sheet number 195 in the OS Landranger map series covers the Dorset coast, Bournemouth, Poole Bay, Poole Harbour, Isle of Purbeck, the Purbeck Hills, Swanage, Christchurch Bay, Ringwood, Wimborne Minster, New Milton, Milford on Sea, Wareham and Corfe Castle. Note: Popularity is based on the sort order found for each series on the Ordnance Survey Website. It was accurate at the time of publication but is subject to change at any time. You can see the latest popularity for each series on their respective pages: Explorer OS Maps and Landranger OS Maps.